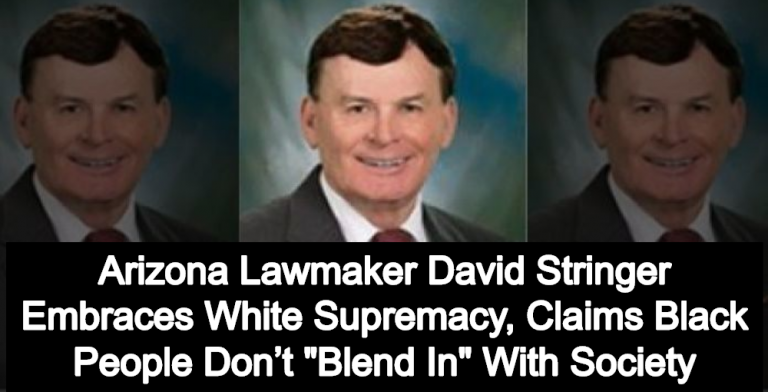 White Nationalism: Arizona lawmaker David Stringer embraces white supremacy, claims black people don’t “blend in” with society. There are calls for the resignation of Republican state Rep. David Stringer after the Arizona lawmaker made the unabashedly racist claim that African Americans “don’t blend in” with society. In addition to the Republican-dominated Prescott City Council, the state Republican Party Chairman Jonathan W. Lines, and the Republican Governor Doug Ducey, have also called for Stringer’s to resignation. I have no intention of resigning. I am not going to disenfranchise the thousands and thousands of people who just returned me to office a month ago. Bottom line: Arizona lawmaker David Stringer embraces white supremacy and claims black people don’t “blend in” with society. And he still has a job representing the citizens of Arizona. Magic Johnson joins NBA Countdown team to discuss racist comments allegedly made by Los Angeles Clippers owner Donald Sterling. Johnson says such statements have no place in society.